Base One Seeks Qualified Security Officers to Join Our Growing Team! Once you've completed the Pre-Employment Application, please email your resume to [email protected] Please include your full name in the email's subject line. You can also fax your resume to (718) 852-9906 (a ttn: HR Manager) . IMPORTANT NOTE : Your Pre-Employment Application WILL NOT be considered until we receive a copy of your resume. Resume is required. Your Pre-Employment Application will not be considered until we receive a copy of your resume. Please make certain your resume is updated and reflects in detail your previous security experience. NO Walk-ins- By Appointment ONLY. We will contact you if your qualifications, job experience and skills meet our employment requirements. If you are selected for an interview this does not guarantee employment. There is NO FEE to apply for a position within our company. Uniforms will be provided (if hired) and training (if required) AT NO COST TO YOU. P/T Security Officer position available in Bronx, NY Security Officers to provide security services at a foster care facility. Security Officer will be assigned to monitor the reception area as well as perform routine patrols. P/T Security Officer position available in Bronx , NY Security Officers to provide security services at a foster care facility. Security Officer will be assigned to monitor the reception area as well as perform routine patrols. P/T Security Officer position available in Rockland County, NY Security Officer will be assigned to monitor the premises as well as perform routine patrols. 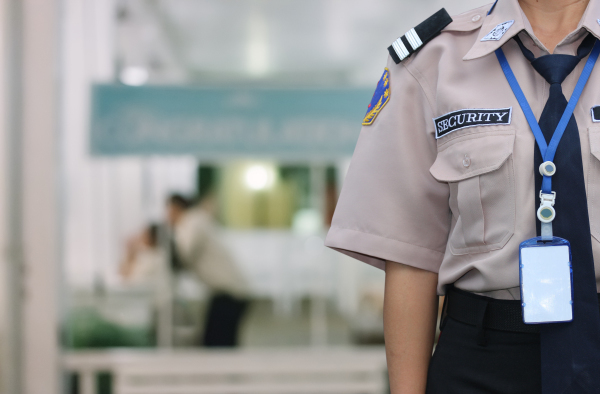 Security Officer will complete Daily Activity Reports. P/T Security Officer position available in Goshen, NY Security Officers will be assigned to specific patrols and will handle any and all security conditions and/or situations that may arise. P/T Security Officer position available in Goshen, NY Security Officers will be assigned to specific patrols and will handle and and all security conditions and/or situations that may arise.